A study published August 17 in the journal Science shows that in fire ant colonies, a small number of workers does most of digging, leaving the other ants to look somewhat less than industrious. For digging nest tunnels, this less busy approach gets the job done without ant traffic jams—ensuring smooth excavation flow. 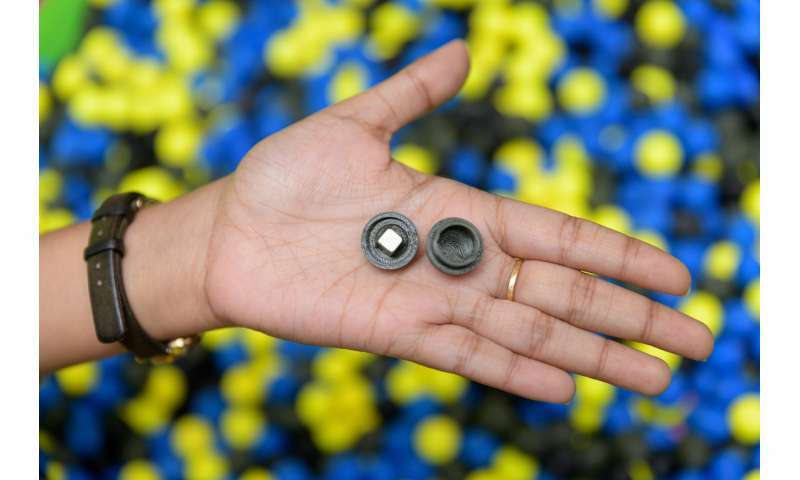 Researchers found that applying the ant optimization strategy to autonomous robots avoids mechanized clogs and gets the work done with the least amount of energy. By monitoring the activities of 30 ants that had been painted to identify each individual, Goldman and colleagues, including former postdoctoral fellow Daria Monaenkova and Ph.D. student Bahnisikha Dutta, discovered that just 30 percent of the ants were doing 70 percent of the work—an inequality that seems to keep the work humming right along. However, that is apparently not because the busiest ants are the most qualified. When the researchers removed the five hardest working ants from the nest container, they saw no productivity decline as the remaining 25 continued to dig. Having a nest is essential to fire ants, and if a colony is displaced—by a flood, for instance—the first thing the ants will do upon reaching dry land is start digging. 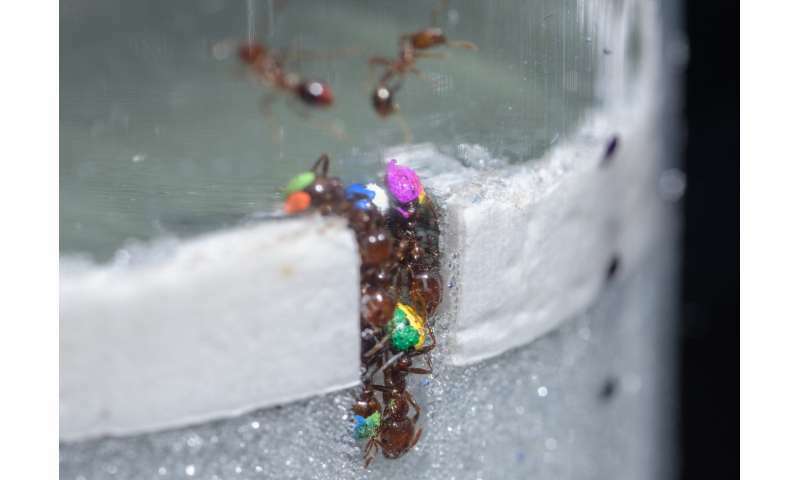 Their tunnels are narrow, barely wide enough for two ants to pass, a design feature hypothesized to give locomotion advantages in the developing vertical tunnels. Still, the ants know how to avoid creating clogs by retreating from tunnels already occupied by other workers—and sometimes by not doing anything much at all. To avoid clogs and maximize digging in the absence of a leader, robots built by Goldman's master's degree student Vadim Linevich were programmed to capture aspects of the dawdling and retreating ants. 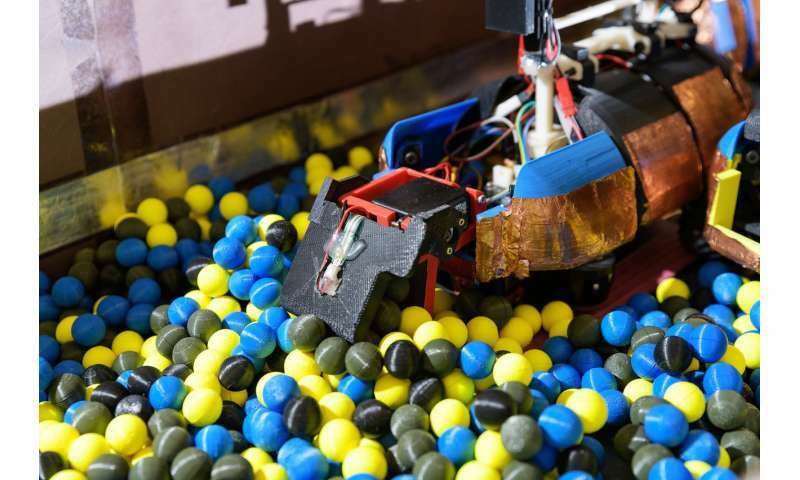 The researchers found that as many as three robots could work effectively in a narrow horizontal tunnel digging 3-D printed magnetic plastic balls that simulated sticky soil. If a fourth robot entered the tunnel, however, that produced a clog that stopped the work entirely. Experimentally, the research team tested three potential behaviors for the robots, which they termed "eager," "reversal" or "lazy." Using the eager strategy, all four robots plunged into the work—and quickly jammed up. In the reversal behavior, robots gave up and turned around when they encountered delays reaching the work site. In the lazy strategy, dawdling was encouraged. To understand what was going on and experiment with the parameters, Goldman and colleagues—including Will Savoie, a Georgia Tech Ph.D. student, Research Assistant Hui-Shun Kuan and Professor Meredith Betterton from the School of Physics at University of Colorado at Boulder—used computer modeling known as cellular automata that has similarities to the way in which traffic engineers model the movement of cars and trucks on a highway.